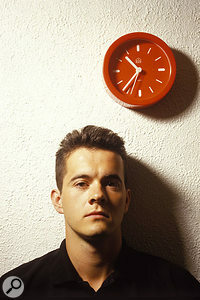 Stephen Street made his name as an engineer working with one of the most influential indie bands ever. 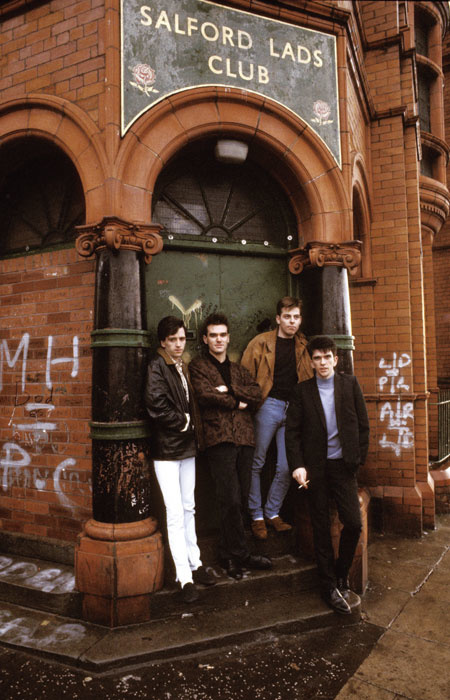 He describes the sessions that created the title track of The Smiths' most celebrated album. "I nearly jumped out of my chair," he recalls. "I'd seen the Smiths perform 'This Charming Man' on Top Of The Pops a week or two before, and thought they were great. So, I jumped at the opportunity, and my first session with them was working on 'Heaven Knows I'm Miserable Now'." This song title was pretty characteristic of Britain's premier indie rock band of the 1980s. The eclectic Mancunian outfit built a bridge between new wave and guitar rock, combining punk ethics, rockabilly sounds and guitarist Johnny Marr's jangling pop melodies with frontman Morrissey's theatrically self-absorbed crooning and poetic, melancholic, angst-filled lyrics... performed, you might recall, while wearing a hearing aid, with gladioli stuffed in his back pockets. 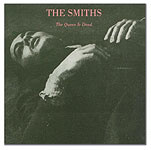 An eponymous 1984 debut album, its 1985 follow-up Meat Is Murder, and singles like 'This Charming Man', 'What Difference Does It Make', 'Heaven Knows I'm Miserable Now', 'William It Was Really Nothing' and 'How Soon Is Now' established the band at the forefront of the indie movement by the time The Queen Is Dead was released in the spring of 1986. This album, which peaked at number two on the UK charts and expanded the Smiths' cult following in America, had a denser, more-hard-edged sound than its predecessors. Probably the best example of this was the rocking title track that opened the record — a diatribe against the Royal Family, the state of the Empire, and the songwriter's own lousy situation. On Meat Is Murder, the Smiths produced while Stephen Street engineered, and the roles were maintained for The Queen Is Dead. "It was great," Street says. "This was a chance for me to get into production as well. Obviously, when you're engineering a band and they're producing on their own, you're often used as a soundboard in terms of the sound and various ideas. Well, Morrissey, Johnny and I had a really good working relationship — we were all roughly the same age and into the same kind of things, so everyone felt quite relaxed in the studio. In fact, at that time they were going through a bit of a fiasco, with Rough Trade and EMI trying to sign up everything, but this didn't get in the way of recording because the atmosphere in the studio was very, very constructive." While the basic track for 'The Boy With The Thorn In His Side' was recorded at a small eight-track facility in Manchester, and sessions for 'Some Girls Are Bigger Than Others' and 'Bigmouth Strikes Again' took place at RAK in north-west London, tour dates preceded the recording of the bulk of the album, which took place along with the mixing at the residential Jacobs Studios in Farnham, Surrey, during the winter of 1985/86. 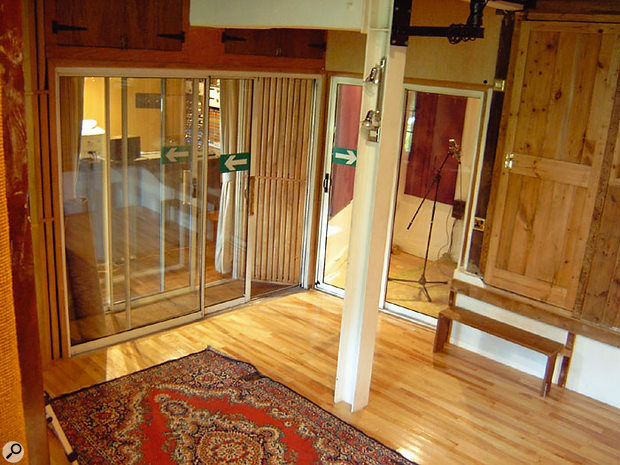 While overlooking the swimming pool of the Georgian mansion that is Jacobs, the Studio 1 control room also connects to two recording areas: the live room, formerly a drawing room, has a recess with large, five-sided bay window that accomodates a grand piano, while the converted stables, with their cobbled and oak floors, beams and joinery, feature three different floor levels and corresponding ceiling heights, as well as a couple of booths and a secondary isolated live area. "The stables looked quite cool, but to be honest, the acoustics in there weren't all that brilliant," Street remarks. "And although we put the drums in the live room because it was brighter in there, it was a bit too live. That's why 'The Queen Is Dead' had to be assembled in a slightly piecemeal fashion, with the snare and bass drum recorded separately from the cymbals and tom-toms." As was the case with most of the album's other material, the band members had already rehearsed the title track before they entered the studio. Accordingly, the first time Stephen Street heard the song was the same day they started recording it. "I think I heard Johnny and Andy just running through it, and Mike playing along," he says. "It was then that I said 'I'd like to try sampling the drum loop so it's really, really strong and the same speed all the way through.' Not an Adam and the Ants-type thing, but something that was like a loop — it had a certain quality, I think, and a kind of darkness thanks to the constant tom pattern. On the track itself the toms do cut out every now and again, but this is just me cutting it on the desk during the mix to give it some sense of dynamic." Stephen Street, photographed in the late '80s. "For one thing, it was too messy when everything was going on at once. And for another, it gave us the chance to do something slightly different, something else in terms of the overall production. Mike therefore played the tom pattern that you hear at the beginning of the track, and I recorded that, sampled it, and it ran all the way through the track. I should also point out that the toms were recorded in the live room, but I didn't use so much of the ambience tracks. I just used the natural overhead tracks and close-mics on the toms, whereas when we recorded the snare I used a more distant 87 in the room and compressed it. "Andy Rourke laid down a rough bass line to that tom pattern — a real killer bass line that pushed the track along — Johnny did a rough rhythm guitar part to it, and then Mike went back into the studio so we could record the bass drum and snare separately, enabling us to get a little more ambience on the snare without making the toms sound too wet. Later on, some cymbal crashes and swells were added on top of that — it was a very different way of recording to what they'd been used to. I mean, I knew that when John Porter worked with them he'd sometimes trigger an Akai bass drum and snare from Mike's playing, but I never did that. In most cases I'd use the actual sound of the kit. It was only on this one occasion that we used a bit of technology to see what else we could do with the drums, and I have to say it worked out pretty well." Meanwhile, take a look at the album credits and you'll see that the slightly weird-sounding, high-pitched backing vocals on 'The Queen Is Dead' and several other tracks were performed by one Ann Coates. Ever wonder what happened to her? If so, you'll be hard pressed to find out. Ms. Coates, you see, was otherwise known as Morrissey with a pitch-shifter. "I was experimenting one day, trying the AMS harmoniser with different pitch changes, and it kind of worked and he kind of liked it," Street explains. "So, we decided to go with that; me putting him through a 1.5 on the harmoniser. You can hear it on 'Bigmouth Strikes Again' as well. Morrissey was a great one for wanting me to try out effects on his vocals. At that time, apart from the harmoniser, he didn't go for much backing vocal or harmony work — he's done that more on recent albums — but he did like to experiment. And the fact that I did this to a greater extent than John Porter, using his vocal like an instrument, probably helped endear me to Morrissey." Stephen Street was not afraid to record instruments to tape with their effects. "Instead of leaving everything to the mix, I would try, while we were tracking, to settle on what I wanted to do with the drums, if possible. You know, if I found a really good reverb or something else that I liked for the snare, and if I had enough tracks available, then I'd print it. And if I wasn't able to print it, I'd always make a note of what it was and get it back up so we could use it while we were tracking. That was part of the reason why I wanted to do the sampling thing and say 'That's it. That is the mix. That's the way it's going to be. That's what we'll go with.' Then again, with Mike overdubbing his snare separately, I was able to get much more of a clean and groovy sound than if he had been hitting his hi-hat and cymbals at the same time. "Once Mike had tracked his parts, Johnny then went back in and got all this fantastic feedback, using the wah-wah pedal to change the pitch; all of that howling pitch-change stuff that you can hear weaving in and out the entire track. It was a really, really cool sound, and one of those happy accidents that can happen when you're in the studio, resulting from the guitar that he had and his proximity to the cabinet; a case of 'Hey Johnny, that's really great. Let's try to get a bit of that running all the way through.' I comped from a couple of tracks, and again we recorded quite a lot of it — I'd say there were another four minutes over and above what ended up on the actual record. First of all, I edited it down quite a bit on the two-inch. Then, when we got to the mixing stage, I told Johnny I thought we could take out a little more here and there, and this is what happened on the half-inch mixes. Still, that feedback was used to the max, giving a real kind of tension to the track." While Andy Rourke's bass was DI'd, Johnny Marr's guitar went through a Fender Twin or Marshall stack and was recorded with what Stephen Street describes as "the usual combination of cheap mic, good mic; a Shure SM57 or 58 along with a U47 or 87. And I would try to set them up so that I could use both mics or just one. It depended, really, on the sound and what was suitable for the track." Jacobs Studios is still flourishing today, and Studio 1 looks much as it did in 1985 — this is one of the playing areas, with vocal booth. Like RAK, Studio 1 at Jacobs was equipped with an SSL E-series console, as well as a Mitsubishi X850 32-track digital machine and the usual array of AMS and Lexicon reverbs and delays. "I've always been a great lover of SSLs," Stephen Street says. "They're really well laid out, and while a lot of people back then weren't too sure about the EQ, I liked the console especially because of the computer. The Mitsubishi, on the other hand, was a pain — every now and again we'd hear clicks during playback, and those were annoying, but we'd get around the problem by dropping in. However, after recording 'Frankly, Mr. Shankly', we played it back and there was a massive dropout halfway through the song, meaning we had to re-record the entire track. What a nightmare. Because of that, the song wasn't complete when we finished the album, and John Porter was brought in a little later to record and mix Morrissey's vocal." No one was willing to take the blame for the technical hitch that was causing a number of dropouts during recording. "The people who made the tape machine blamed the people who made the tape," Street recalls, "and the people who made the tape claimed there had been a power surge. So, there was a back-and-forth about who was responsible, and I've never used that machine ever since." 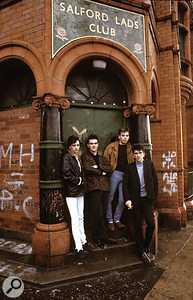 Although Morrissey rarely sang when Marr, Joyce and Rourke cut the backing tracks, he'd usually lay down his vocal immediately afterwards, helping to clarify the song's direction. "When Mike did his overdubs there were these little drop-down bits," Street recalls. "It was a jam that went on for quite a long time, so we just tried a few things, and then it was a case of cutting it all together. After Morrissey had done his vocal, for instance, we finished, and then we had quite a few more bars before that really good drop-down happened towards the end. So, all I had to do was get the old razor blade out and bring that forward. Arrangement-wise, something new was happening every few bars. And what's more, it was after we knew what was happening vocally — where everything was going to peak, and so on — that Mike added the cymbal crashes and swells. "Morrissey recorded his vocals in the live room, screened off so no-one could see him. At that time I was using a U87 on him, and two or three takes were all he needed. The guy could perform. He'd get himself vibed up and just go out there and do his takes. I'd have a little check-sheet with the lyrics, and I'd make notes regarding which were the good takes and which were the slightly dodgy parts. But, to be honest with you, within two or three takes we'd have everything we needed from him. He was fantastic. In fact, the things that really turned the song around were, one, getting Morrissey's vocal on there, and secondly, Johnny's great feedback. "I comped everything, and if Morrissey had a problem with what he heard, he'd ask for an alternative line. However, nine times out of 10 he was happy with what I did. I mean, I wasn't changing every word when I was comping. I pretty much knew a take was great from there to there, so I could use that whole chunk. You see, Morrissey has his moments when he's in the studio and he gets into things, but his tolerance of being there non-stop is pretty limited. That's why Johnny was in the actual control room with me most of the time. "Morrissey would just come in now and again, and if he didn't like something he'd obviously make it known and try to think of something else. But he wouldn't be there all the time, giving me instructions. His thing would be to come up with the intro to 'The Queen Is Dead' — 'Oh! Take me back to dear old Blighty...' [sampled from the 1962 film version of The L-Shaped Room, starring Leslie Caron]. That's typical Morrissey — 'Can we put this on?' In those days, it really was a case of just getting out the record deck and trying something until it felt right. At that point, you'd know you had the take." Since leaving Island's Fallout Shelter to go freelance in 1987, Stephen Street has racked up an impressive list of production credits, not least his hits with the Cranberries and Blur. Nevertheless, nearly 20 years after the fact, he is still very proud of the work that he and everyone else did on the Queen Is Dead album, as well as all of his other collaborations with the Smiths. "I just feel chuffed to have been given the chance to work with them," he says. "As with everything else in this industry, it was a case of being in the right place at the right time, and I'm just grateful that we were able to go on and make that record together."